The Nevada Water Center of Excellence is an independent team of stakeholders focused on one of the greatest issues facing Nevada: Water. The organization sprung out of conversations in 2011 about how to take Nevada’s proficiency in managing water and put that toward a new model for helping bring water technologies to market. Allen says that due to the history of 20th century water development, many Americans tend to equate water management with largescale public works like the Hoover Dam. Others equate water management to the heightened awareness of water treatment processes that followed the rise of the environmental movement in the latter half of the 20th century. He argues that the average citizen underestimate the complexities involved in getting a new water technology adopted. The Nevada Center of Excellence made a big splash in 2013 at the Singapore International Water Week. The Singapore International Water Week is the global platform to share and co-create innovative water solutions. The event gathers stakeholders from the global water industry to share best practices, showcase the latest technologies, and tap business opportunities. 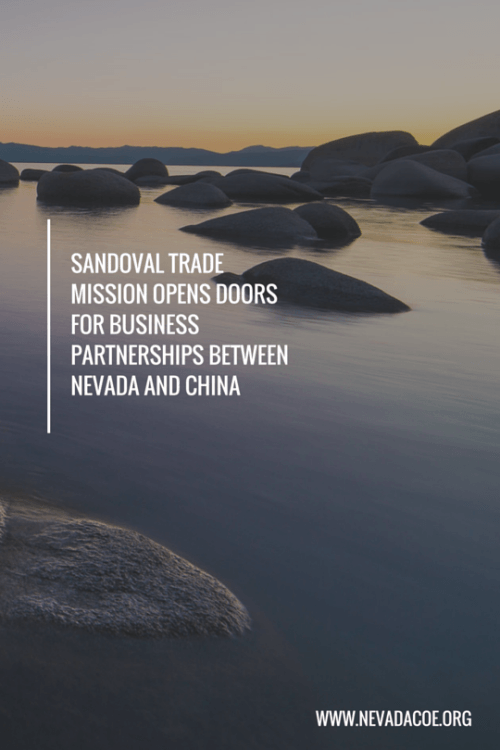 Since the 2013 event, the Nevada Center of Excellence has worked alongside several companies, including Water Sharks and Echologics, to bring them to the Las Vegas market. Water Shark Systems is focusing on the global water crisis by using innovative leading edge technology to treat contaminated water internationally, helping preserve valuable water resources. Globally, the World Economic Forum has identified water-related crises as a chief global threat. As many water supplies around the world are threatened, and reliable sanitation continues to be underdeveloped in communities around the globe, there’s a need for portable, reliable water cleansing systems. These systems need to provide populations with access to clean water, and that’s where Water Sharks comes in. Allen says there are a lot of built-in advantages in Nevada for the work he’s doing with Nevada Center of Excellence. 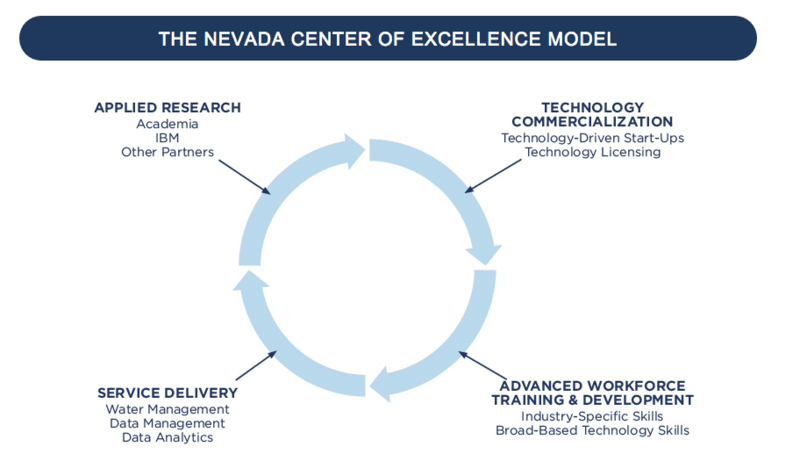 For the past few months, the Nevada Center of Excellence has been heavily marketing their commercialization fund, which provides promising water technology companies with funding to both access our network of partners in Nevada and help develop their technologies. Through the Nevada Water Center of Excellence and the Governor’s Office of Economic Development, the State of Nevada is working to promote its commitment to innovation in water technology by awarding grants of up to $100,000 to international or local technology companies. Qualifying companies will be able to leverage existing U.S. West assets in the application of their water technology development. Requests for Proposals were due on December 1, 2015. In addition, Allen and his team have been working with a broader array of industries with water technology needs over the past few months. They have found success in connecting large water users with a problem to a technology company that has a solution. Allen says founders and entrepreneurs with promising water technologies can connect through the Nevada Water Center of Excellence networks to others who might be a good fit for the commercialization fund.